Cuba is a large island located at the border of the Caribbean Sea and the North Atlantic Ocean. The island’s terrain is generally flat, but mountains that reach up to 2,000 meters in height can be found in the southeast. The country’s climate is tropical and it experiences a dry season from November to April and a rainy season from May to October (USDS, 2010). The population of Cuba is 11.2 million, with 75 per cent of the population residing in urban areas (USDS, 2010). The average monthly salary of workers is US$18, and the workforce is primarily employed within the following sectors: 42 per cent in services (including education, health and social services); 19 per cent in agriculture; 12 per cent in commerce and tourism; 6 per cent in transport, storage and communication; 5 per cent in construction; and 2 per cent in mining, electricity, gas and water (USDS, 2010). As the majority of the country’s means of production are owned and run by the government, approximately 83 per cent of the population of Cuba is employed by the state (USDS, 2010). The National Environment Strategy 2007/2010 is the guiding document for Cuban environmental policy. It defines the five main environmental issues in Cuba (land degradation, factors affecting forest coverage, pollution, loss of biological diversity and water scarcity) and proposes the policies and instruments for their prevention, solution or minimization in order to improve environmental protection and the rational use of national resources. Additionally Cuba prepared its National Strategy and National Action Plan (NAP) for the Combat of Desertification and Drought in 2000. As part of the National Communication process, Cuba established a myriad of institutional and legal frameworks for climate change. Cuba has established the National Climate Change Group to bring together all the relevant governmental and non-governmental institutions. The Group is led by the Climate Centre under the Institute of Meteorology of the Ministry of Science Technology and Environment. The main island of Cuba is the largest island in the West Indies, with a total land area of 104,945 km². The total area of the country as a whole, including the Isla de la Juventud (2,200 km2) and around 4,195 keys and small islands, is 110,860 km2. The country lies between latitudes 20º 12' 36'' and 23º 17' 09''N and longitudes 80º 53' 55'' and 84º 57' 54''W. The topography is mostly flat to rolling, with rugged hills and mountains in the southeast and south-central area. The Cuban mountain range system is formed by four massifs covering 1,959,400 ha, equivalent to 18% of the surface of the Cuban archipelago. The surface cover of Cuba consists of cropland and crop/natural vegetation mosaics (44%), shrub lands, savanna and grasslands (24%), forests (23%) and wetlands (9%) (Earth Trends, 2003). A US$ 6 million Adaptation Fund-financed project is helping communities in Cuba that have been vulnerable to coastal flooding and sea level rise related to climate change recover protective marine ecosystems and forests. Cuba proposal for "Reduction of vulnerability to coastal flooding through ecosystem-based adaptation in the south of Artemisa and Mayabeque provinces"
Cuba’s water sector is very vulnerable to climate variability, with rainwater its only water resource. Between 1960 and 2000, the country experienced a decline in precipitation of 10 to per cent. Coastal floods and sea water inundations are also leading to saline intrusion of the country’s groundwater aquifers. The country’s agriculture sector is also vulnerable to reduced water availability, droughts, and extreme weather events such as hurricanes. These current concerns may become more acute as in the future as the climate changes and temperatures rise. Warmer temperatures associated with climate change may also affect the health of Cuba’s population, including a possible increase in cardiovascular and respiratory diseases, and a rise in dengue fever, diarrhea, chicken pox and other viral illnesses. To view progress on Cuba's SNC click here. The main island of Cuba is the largest island in the West Indies, with a total land area of 104,945 km². The total area of the country as a whole, including the Isla de la Juventud (2,200 km2) and around 4,195 keys and small islands, is 110,860 km2. The topography is mostly flat to rolling, with rugged hills and mountains in the southeast and south-central area. The Cuban mountain range system is formed by four massifs covering 1,959,400 ha, equivalent to 18% of the surface of the Cuban archipelago. The surface cover of Cuba consists of cropland and crop/natural vegetation mosaics (44%), shrub lands, savanna and grasslands (24%), forests (23%) and wetlands (9%) (Earth Trends, 2003). As a result of its location in the western Caribbean Sea, Cuba is affected by extreme hydro-meteorological events on an annual basis, including hurricanes (UNDP, 2010). Between 1998 and 2008, Cuba was affected by over 20 tropical storms that caused widespread damage to infrastructure; however, in testament to the country’s risk reduction measures, only 35 lives were lost during these events (UNDP, 2010). Cuba’s water sector is very vulnerable to climate variability; rainwater is its only water resource, the country experienced a decline in precipitation of 10 to per cent between 1960 and 2000 (Oxfam, 2011). Coastal floods and sea water inundations are also leading to saline intrusion of the country’s groundwater aquifers. The country’s agriculture sector is also vulnerable to reduced water availability, droughts, and extreme weather events such as hurricanes. These current concerns may become more acute as in the future as the climate changes and temperatures rise. Warmer temperatures associated with climate change may also affect the health of Cuba’s population, including a possible increase in cardiovascular and respiratory diseases, and a rise in dengue fever, diarrhea, chicken pox and other viral illnesses (Oxfam, 2011). Freshwater sector: Improved maintenance of national water infrastructure; greater efficiency in water used for irrigation; reducing the contaminant load in bodies of water; construction of dikes against the intrusion of sea water; relocation of wells; and water conservation promotion programs. Agriculture sector: Ensure greater efficiency in water use for crops through improved irrigation technology, training, and capacity building; introduction of crops that are more resistant to droughts and pests; development of agriculture and livestock production in higher elevation areas; and planting of short-cycle crop varieties. Forestry sector: Reforestation and management of forests to increase coverage; replacement of firewood cooking methods with electric methods; strengthened control of poaching and extraction to discourage degradation; creation of forest plots for forest recovery; and growing involvement of the population in reforestation. Cuba has a long history of policy initiatives to address climate change. For example, in 1991, the country created a National Commission on Climate Change with a mandate to study the impacts of the phenomenon on its population, food production, water supplies and health (Oxfam, 2011). In the process of developing its First National Communication to the UNFCCC, Cuba established a number of institutional and legal frameworks for climate change, including the National Climate Change Group that brings together all relevant governmental and non-governmental institutions. In 2007, the country also launched the Cuban Society Program to Face Climate Change,which analyzes all sectors of the Cuba economy in terms of vulnerability to climate change and required adaptation measures. As part of this process, the National Water Resources Institute developed an Action Plan for Water Resources Adaptation to Climate Change (Oxfam, 2011). Cuba is currently in the process of developing its Second National Communication under the UNFCCC. It also cooperates with the Caribbean Community (CARICOM) members on climate change initiatives, including a 2008 statement calling for increased financing to address climate change adaptation. In addition to these efforts, Cuba has established a sophisticated national disaster risk reduction framework through the creation of a comprehensive Civil Defense System that protects lives in the case of extreme climatic events and acts as an early warning system. This system involves a series of preparatory actions, annual large-scale simulations, and a broad network of logistical support centers across the country (Oxfam, 2011; UNDP, 2010). CARE is currently funding an adaptation project focused on the livestock sector, which aims to build capacity, improve policy formation, and reduce risk in this area. 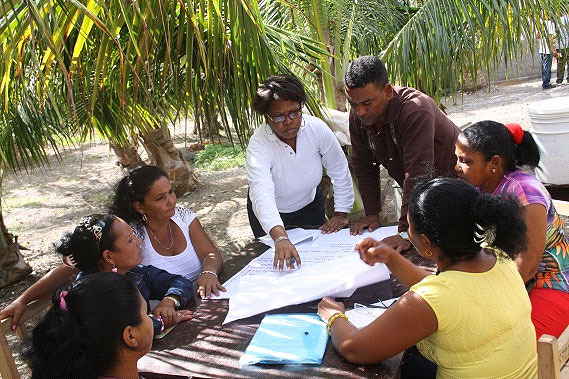 A recently completed regional project funded by the Food and Agriculture Organization (FAO) aimed to improve emergency preparedness in the agriculture sectors of Cuba, Grenada, Haiti and Jamaica. It is likely that Cuba is addressing adaptation needs through more initiatives given the long engagement of the government on this issue. 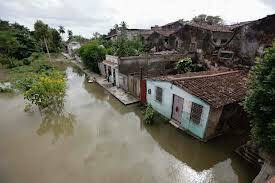 No proposed adaptation actions in Cuba have been identified to date. At the policy level, Cuba appears to have made considerable progress in addressing the impacts of climate change on its key sectors, as well as in establishing a sophisticated disaster risk reduction system. Through its relatively moderate number of current discrete adaptation projects, it is addressing needs related to each of its identified priority sectors of agriculture and, to a lesser extent, freshwater resources and forestry. Future initiatives could expand upon its current adaptation efforts related to agriculture, disaster risk management, government, coastal zone management, forestry and water. They could also close observed gaps related to human health, the differential impacts of climate change by gender, and build capacity in the urban areas where three-quarters of Cuba’s population resides. It is likely that Cuba’s forthcoming Second National Communication will provide a review of the country’s recent adaptation actions and clarify areas where enhanced action is required. Medeiros, Hove, Keller, Echeverría, Parry (2011) “Review of Current and Planned Adaptation Action: The Carribean.” Adaptation Partnership / International Institute for Sustainable Development.